Cloud computing security generally refers to a wide range of policies, technologies, and controls deployed in order to protect cloud data, applications and the associated infrastructure of cloud computing. Emails containing financial documents in cloud hosting are at the highest risk of theft. Businesses should always avoid sharing very important information over the internet. To learn more about the major security issues that you have to consider and ways that you can avoid them, keep reading. The responsibility of securing the data is divided among the two parties – providers and customers. The provider should always ensure that the infrastructure is secure and that their client’s data is protected. The users, on the other hand, should also ensure that they keep a keen check on their cloud security applications and inhibit safety protocols such as placing strong passwords and authentication methods so that only authorized personnel are able to access the data. Whenever an organization decides to put their data online with a cloud security software or application, the physical accessibility is reduced. Therefore, keeping a watchful eye over the employees who have access to that information is necessary as insider attacks are a very big threat to organizations and businesses. Alongside, data centers should be under surveillance most of the time. Deterrent controls make attackers aware that there will be adverse consequences for them if they proceed with stealing data or perform any kind of suspicious activities. They work more like a warning system. Preventive controls play a vital role in strengthening the system. For example, strong authentication of cloud user’s enables only authorized personnel to access the data. Detective controls are intended to detect and react appropriately to any incidents that may occur on the online platform that you have put your data on. In the event of an attack, the detective controls trigger the security protocols and address the attacker and the owner of the data that something is suspicious. System and network security monitoring, intrusion detection systems, and prevention arrangements are all part of detective controls. Corrective controls normally limit the damage of attacks by coming into effect during or after the incident occurs. An example of this is when the system is backed up in case of an attack. Now that you are aware of the ways you can protect your online data, let’s take a look at the security and privacy methods you can adapt to reduce the risk of theft. Almost every industry has its own verification system to allow only authorized people into the business vicinity. Cloud providers mostly integrate the customer’s identity management system into their own system or by using a biometric verification system. No matter what procedure you use, make sure that you are aware of the people leaving and entering in addition to the people that are accessing the online date. Cloud service providers ensure the security of a workplace against unauthorized access to theft. They ensure that essential supplies are provided such as electricity in order to minimize the damage for any cases of theft or loss of important financial documents. Providers ensure that critical data is masked and encrypted and that only the authorized users have access to the important information. A number of security threats are closely associated with cloud data services. Therefore, whatever purpose you have for cloud data services, always ensure that you have sufficient security protocols, especially when you are sharing financial emails or any data that may be at risk. 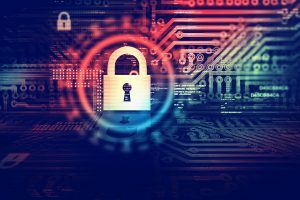 Data security can be extremely beneficial and accessible, but, alongside, it is necessary to protect it from risks. Make certain that accuracy is maintained, data is kept confidential and that you are able to access the controls of your online services and cloud data usage.